Psssst. Bollywood ‘Dabangg’ Khan the muscle man Salman will be seen romancing a hottie in his next untitled love story to be made by produced under his dear brother Sohail’s banner. The actor who is at the peak of his career has some super actioners lined up for this year like ‘Ready’, ‘Bodyguard’ and everybody was speculating which one would go on floors after ‘Bodyguard’ which also stars B-town powerhouse Kareena Kapoor. A close hand reveals that Salman next to go on floors will be an action-romancer to be produced by Sohail Khan Productions. 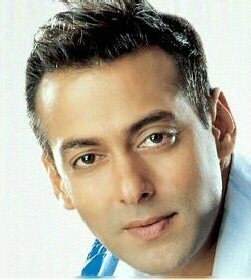 For Salman family comes first, so after ‘Bodyguard’ it will be his brother’s untitled film followed by Boney Kapoor’s ‘No Entry Mein Entry’, Sajid Nadiadwala’s ‘Kick’ and Shree Ashtavinayak Cine Vision’s ‘Partner 2’ and then ‘Dabangg’ sequel.